Sister Cities International is governed by a 24-member Board of Directors, overseen by the Chairman. 21 members are drawn from the membership and the greater diplomatic and business community, with three additional members designated to represent state representatives, youth, and young professionals. Board members are elected by the membership at the Annual Business Meeting during the Annual Conference. Board members serve three-year terms, and state coordinator, youth, and young professional representatives serve two-year terms. Board of Directors terms are staggered, and seven board seats are up for election each year. The Board elects the secretary and treasurer of the Board, who each serve one-year terms and the vice-chair, who serves a two-year term. 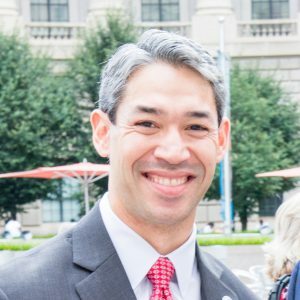 Mayor Ron Nirenberg was elected Mayor of San Antonio in June 2017. Prior to his election, he served San Antonio’s District 8 City Council from 2013 to 2017. During his tenure, Councilman Nirenberg has focused on solutions to San Antonio’s deepest challenges, including improving transportation infrastructure, ensuring the city’s sustainability through environmental and economic initiatives, embracing new technology, closing the workforce skills gap and creating jobs. As comprehensive planning committee chairman, he played an instrumental role in guiding the development of the SA Tomorrow plan, a citizen-driven blueprint for the city’s future that will help city leaders prepare for significant population growth. It will improve the quality of life for residents by focusing on a range of solutions that include equitable housing policies, transportation reform, health and wellness initiatives, natural resource management and economic development proposals. He is also the chairman of several critical committees that work to build a resilient city on the national and local levels. Experienced in business and policy, Councilman Nirenberg is a former program director for the Annenberg Public Policy Center, where he developed and directed award-winning civic engagement programs in cities across the United States, including San Antonio. He is also the former General Manager of Trinity University’s KRTU-FM and the founder of two small businesses. A graduate of Trinity University (B.A.) and the University of Pennsylvania (M.A. ), Councilman Nirenberg and his wife Erika Prosper, a respected business and community leader, are proud parents of their son, Jonah. Questions? Please contact the office at 202.347.8630 or info@www.sistercities.org.